The Canadian Network on Cuba (CNC) held a very successful 7th Biennial Convention in Toronto from May 30 -31, 2015. Delegates and alternate delegates from 19 member organizations were joined by observers and invited guests including His Excellency Julio Garmendía Peña, Ambassador of Cuba to Canada, Javier Dómokos Ruiz, Toronto Consul General of Cuba and other Cuban diplomats. The Convention had the distinct honour and privilege of hosting Fernando González Llort, one of the Five Cuban Heroes who had been imprisoned unjustly in the United States for defending Cuba from terrorist attacks launched from the United States and/or by U.S. citizens and covert agencies and for defending Cuba's right to independence and self-determination. Fernando Gonzalez participated in his capacity as Vice-President of the Cuban Institute for Friendship with the Peoples (ICAP). He was accompanied by Sandra Ramírez Rodriguez, Director of the North American Desk of ICAP. Also, present was Dr. José de Jesús Portilla García, who had just completed nine-city tour to raise awareness about Cuba's extensive and unprecedented internationalist solidarity with the peoples of Africa, and in particular its recent contribution to addressing the Ebola crisis in West Africa. Dr. Portilla Garcia has had a distinguished career as a surgeon, university professor and head of the Department of Health for the province of Havana. He was also involved in a number of Cuban medical missions to Africa including to the former Republic of Congo and Angola. On behalf of La Table de Concertation de Solidarité Quebec-Cuba, Christine Dandenault and Genevieve Royer delivered a message of greetings to the Convention. The National Network on Cuba from the United States also sent a written greeting of support. A very well attended public meeting on the evening of Saturday, May 30 was the highlight of the 7th Convention. Fernando González Llort spoke to a standing room-only audience gathered at the United Steelworkers Hall on Cecil Street in Toronto to celebrate the freeing of all the Five Cuban Heroes. Fernando declared his admiration and appreciation for the contribution of the Canada-Cuba solidarity movement to the struggle to win their freedom stating: "On behalf of my four brothers and our families, thank you. This victory belongs to all of you." Fernando also emphasized that the international solidarity movement with Cuba still faces the task of ending the ongoing U.S policy of hostility and aggression against the island nation. He noted that the struggle "hasn't ended. We won a battle but the blockade remains and Guantanamo base is still there [illegally on Cuban territory]. 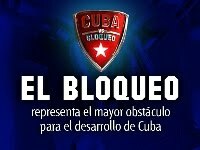 The blockade impacts all aspects of Cuban life." He reiterated that Havana is committed to maintaining its internationalist foreign policy of helping other countries. In Cuba "solidarity is part of our culture," he stated. Fernando invoked Cuba's long struggle to realize and achieve independence, self-determination and a just society, a struggle that stretches back to the 19th century. The victory of December 17, 2014 cannot be divorced from the profound history in which it is embedded, he said. The freedom of Gerardo Hernández, Ramón Labañino and Antonio Guerrero and Obama's new policy are the culmination of Cuba's struggle for national affirmation, liberation, independence and social justice. Fernando also stressed that for the people of Cuba "the knowledge of our history, and our principles are going to keep the Cuban Revolution strong." Dr. José de Jesús Portilla Garcia also addressed the gathering about the role of Cuban doctors in the fight against Ebola. He explained the human-centred health care system that has emerged in Cuba despite the U.S. economic blockade. He emphasized that in Cuba healthcare is a human right enshrined in the Constitution and guaranteed by the Cuban state. Dr. Portilla Garcia further noted that despite being a poor country Cuba has provided medical assistance to other countries in Africa, Asia, Latin America and the Caribbean based on a spirit of internationalism. This is something that he and all Cubans are committed to and very proud of. At the Saturday, May 30 public meeting Ambassador Garmendía Peña announced the launch of Cuba Pan Am 2015, the new website designed to provide the latest news and information in English, French and Spanish about Cuban sport and the country's participation at the 2015 Pan American Games that will be held in Toronto from July 10-26, 2015. Facebook and Twitter pages were also launched, which together with the website will provide updates about the Cuban team and what to expect at the games. The website address is: http://cubapanam2015.ca, Twitter: @cubapanam2015 and Facebook: Cuba Pan Am 2015. Interesting panel discussions were held during the Convention, which was held within the context of the resounding victory of the December 17, 2014 release of the final three of the Five Cuban Heroes and the announcement by U.S. President Obama that the United States government was taking steps toward the establishment of formal diplomatic relations with Cuba, as well as the celebration of 70 years of uninterrupted Canada-Cuba diplomatic relations. During the panel Canada-Cuba Solidarity & 70 Years of Canada-Cuba Diplomatic Relations, Ambassador Garmendía Peña pointed out that despite the immense and historic victory of winning the freedom of the Cuban Five and the formalization of diplomatic relations between the U.S and Cuba, the economic blockade is still in force. The work remains to end the blockade, the illegal U.S. occupation of Guantanamo Bay and Washington's policy of destabilization. The Ambassador further emphasized the need to continue building and deepening the existing relations of friendship and cooperation that exist between Canada and Cuba. The Honorable Jean Augustine also spoke. A former Liberal MP, Ms. Augustine was Chair of the Standing Committee on Foreign Affairs and International Trade and Speaker of the House of Commons in 2004. Her presentation focussed on the role of parliamentarians in fostering Canada-Cuba relations. She regaled the audience with vignettes of her various trips to the island nation, especially her various meetings with the historic leader of the Cuban Revolution, Fidel Castro. Nino Pagliccia, editor of the recently released book Cuba Solidarity in Canada: Five Decades of People-to-People Foreign Relations, outlined how Cuba's internationalism provided a foreign policy model in which solidarity is the fundamental principle. A dynamic session on Planning for 2015-2017: New Challenges New Struggles featured Elizabeth Hill, CNC Co-Chair, Sandra Ramírez from ICAP and Tamara Hansen from the organization Vancouver Communities in Solidarity With Cuba. 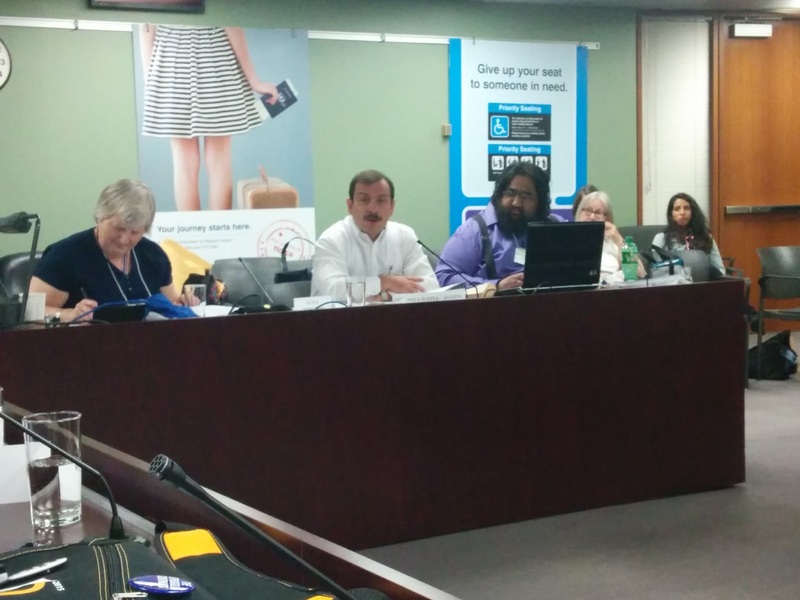 Their presentations highlighted the challenges facing the Canada-Cuba solidarity movement in the coming period and the opportunities that exist to further strengthen it and expand its reach. The Convention's final panel, Cuba-Today and Tomorrow, featured Professor Emeritus Keith Ellis from the University of Toronto, Javier Domokos Ruiz and CNC Co-Chair Isaac Saney. They presented lively information on the ongoing renovation and updating of the Cuban economy and the significance of U.S. President Obama's new policy. The panel stressed that the economic measures being implemented by Cuba were taking place within the process of the renewal and continuity of the Cuban revolutionary and socialist project, and that while the people of Cuba welcomed the steps towards the possible normalization of relations with the United States, they would never renounce their independence, sovereignty or socialism. Extensive reports by the CNC executive and CNC member organization were presented covering the two years since the 6th Convention. The reports illustrated the breadth and depth of Canada-Cuba solidarity activities from Vancouver to Halifax. These activities encompassed the political, social and cultural spheres. Highlights of the CNC's work included the very successful cross-Canada tours of Geraldo Alphonso and Dr. Portilla Garcia, and the international symposium Africa's Unknown War: Apartheid Terror, Cuba & Southern Africa Liberation. Reports of member groups highlighted the struggle to free the Cuban Five and the tremendous joy at their liberation. The scope and diversity of this work encompassed a variety of arenas, from political work with parliamentarians and unions to cultural performances and festivals to ongoing information meetings, conferences, pickets and leafleting. Recognizing that the movement in solidarity with Cuba has arrived at a new moment which poses specific challenges, CNC delegates resolved to mobilize Canadian public and political opinion to end the U.S. economic blockade of the island, return Guantanamo Bay and to challenge the disinformation campaign against Cuba. Based on the reports, discussions and deliberations, resolutions were adopted to strengthen and guide the CNC's work over the next two years and measures were taken to update the CNC's by-laws. Special attention was also paid to other areas of ongoing work including among others, the highly successful Ernesto Che Guevara Voluntary Work Brigade and the annual Pastors for Peace Caravan, and the ongoing work with Canadian parliamentarians. Delegates also pledged to mobilize support for the Cuban participating in 15th Pan American Games that will be held in Toronto and its environs from July 10th-26th, 2015. The Convention also committed to support a symposium in Toronto in 2015 to commemorate the 40th Anniversary of Operación Carlota, the beginning of Cuba's internationalist mission in Angola that was crucial to the success of the southern African national liberation and anti-colonial struggles. A new CNC executive was elected to implement the Convention's decisions and realize the work plan for 2015-2017: Michel Dugre, Julio Fonseca, Don Forman, Elizabeth Hill, Isaac Saney, Aaron Shields and Saleh Waziruddin. The executive subsequently selected Elizabeth Hill and Isaac Saney to continue as co-chairs. Isaac Saney was also re-appointed National Spokesperson and Elizabeth Hill Treasurer, with Saleh Waziruddin assuming the position of Secretary. The exciting and full two-day program reflected the rich, dynamic and spirited Canada-Cuba solidarity movement, which has been in existence for more than fifty years. It is a movement rooted in the overwhelming respect and admiration of Canadians for Cuba's considerable achievements and affirmation of its right to independence and self-determination despite facing the unceasing aggression of the United States. This respect and admiration have forged unbreakable ties of friendship and solidarity between the peoples of Canada and Cuba.